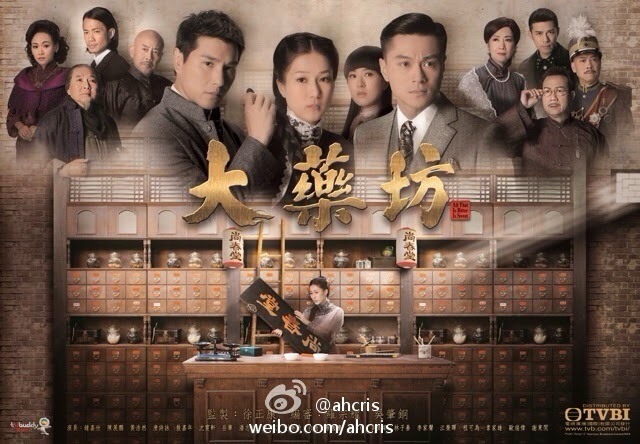 Synopsis:Foshan's famous physician Dou Sam has only one daughter, Dou Gaa Kei. Although she is intelligent and has a strong interest in Chinese medicine. On the day of her marriage to the mayor's son Chong Gai Zou, a serious epidemic breaks out. Many patients, including him, die after taking Dou Sam's medicine, prompting the pharmacy to be shut down. Experiencing such an abrupt change in her life, Dou Gaa Kei is left feeling hopeless. At this time, Ding Yat Yuen, a merchant suffering from a terminal illness, purchases the pharmacy's assets with the intention of reselling it for profit. To keep the pharmacy intact, Dou Gaa Kei offers to treat his illness in exchange of him to not sell any of the assets. Through his connections, she meets a retired imperial physician, who passes on his medical knowledge to her. Linda Chung's role in "All that is Bitter is Sweet" was tailor made for her by the producer. She thanked TVB's senior managers and executives and the producer for giving her the role. The drama started airing this week and in there, Linda plays as a female pharmacist and her character will be undergoing a lot of hardships. When asked what she feels about the drama being rumoured to have copied Korean drama, "Jewel in the Palace", Linda says that she think the two has a different storyline, time setting and the characters are also different. She is not worry that the drama will be criticized because of this. The drama's focus is different too as it features Chinese medical. Linda does not mind the comparison though and if anything, she hopes that the ratings for "All that is Bitter is Sweet" will also do well like "Jewel in the Palace". Since "Brother's Keeper", rumors has been circulating between Linda and Ruco Chan. Is she worry that more rumours would emerge between the two? Linda says she is not worry and it is getting old anyway. Towards Ruco, Linda praised his ability to immerse into character and stated that he is a very serious and hard working actor. For the Best Actress Award this year, Linda modestly expressed that she will continue to work hard and try her best with confidence. As for Linda having less productions aired this year? Linda says the number of dramas this year are around the same. The broadcast time though is determined by the company and not within an artiste's control. She expressed the this year is a happy one and that it's not bad to appear lesser onscreen because it'll be boring for the audience to see her every night. Although the storyline isn't bad and there's some good acting here and there, I still think Linda's acting here as the female lead is lacking in many ways. She's probably convinced that this role (or that one in Tiger Cubs 2) will land her TV Queen 2014 but honestly she's not ready for it yet. I thought soompi is for and about K-ent, k-dramas and k-pops. Good to know forum also contains other genres from Asia. Looking forward to soompi TV hosting this and other HKdrama online. Looking forward to soompi TV hosting this and other HKdrama online. You're welcome! Yup! Glad that soompiers are exploring every part of the forum!